PARIS ― Airbus is cutting up to 3,700 jobs across four European nations as annual production of the A400M military airlifter and A380 superjumbo airliner will be slashed, the aircraft company said Wednesday. “At this stage, Airbus estimates the maximum impact of these measures will affect up to 3,700 positions at sites across the company’s home countries of France, Germany, the United Kingdom and Spain,” the company said in a statement. The company announced the cuts after a meeting of its European Works Council. Airbus will seek to offer work to most of the staff hit by the production cuts by moving employees to other programs with rising build rates, the company said. 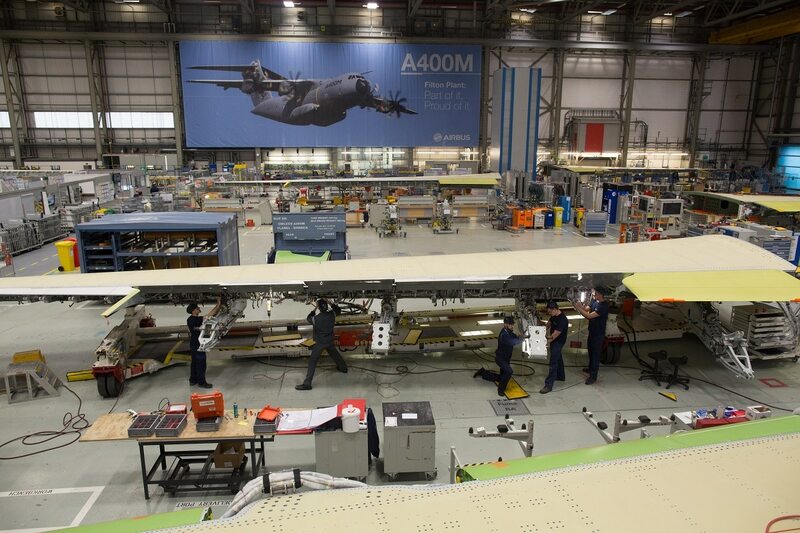 Annual production of the A400M transport plane will fall to eight units in 2020 from 15 this year and 11 next year. The drop in A380 production to six compares to 12 being built this year. “This adjustment is based on discussions with the A400M launch customer nations,” the company said. Airbus called for those talks in a bid to agree on a new delivery schedule, seeking to reduce penalty payments for late shipment of the turboprop airlifter. A new timetable is expected by the end of the year, which would stem the financial charges of €8.5 billion (U.S. $10.5 billion) booked by Airbus. Airbus maintained its full-year forecast of delivering more than 700 planes but says it depends on engine makers meeting commitments to fixing problems. An Airbus spokesman declined to give a figure on the jobs hit on the A400M program. Seville, southern Spain, is the assembly plant for the A400M, with wings built in Broughton in the U.K.; fuselage in Bremen, northern Germany; and cockpit in Saint-Nazaire, western France. Some of the Seville staff could be switched to retrofit of military capabilities on the A400M. The Spanish plant also works on the C-295 tactical turboprop plane and provides aircraft maintenance and repairs. The total 3,700 job cuts will fall on 13 factories across the four partner nations, with the company expecting to assign most of the staff to other aircraft programs. 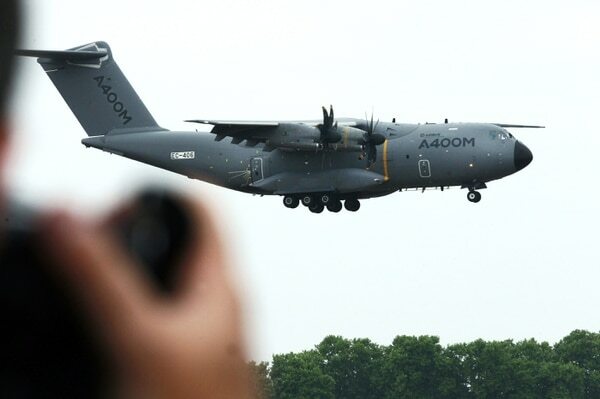 A lower production rate for the A400M seeks to address the problem of the number of aircraft built but then parked on the tarmac rather than promptly delivered to client nations. That excess of inventory arose from the need to fix a problem on the propeller gearbox of the TP400 engine. Slower production also allows Airbus more time to fit equipment for tactical capabilities rather than deliver the aircraft on time and later recall them for retrofit. Airbus also expects to use that extra time to pitch the plane in export markets. A January order from Dubai-based airline Emirates for 20 A380s, with an option for 16 more, gave a lifeline for the double-decker airliners with an annual baseline delivery of six units. That Emirates order was worth $16 billion at list price, though it was likely the airline won a large discount.